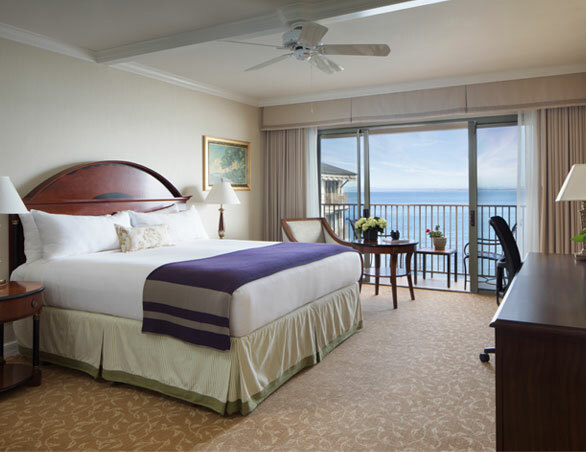 Refined rooms are elegantly appointed with contemporary coastal accents and luxurious highlights. Many rooms feature sweeping ocean vistas and the rhythms of waves lapping below. Modern amenities and residential-style comforts include wood finishes, plush microfiber beds and coverlets, and large windows that bring in the natural light. Spacious bathrooms feature marble baths and vanities, microfiber spa robes and Zents luxurious spa bathroom amenities. Available with a King or Double Queen configuration. Timelessly appealing, these 400 sq ft luxury hotel rooms offer guests plush beds and elegant furnishings. Tastefully appointed with classic wood accents and custom artwork. 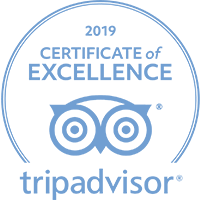 Highlights include a luxurious marble bath with separate vanity, two microfiber spa robes and an LCD flat screen TV with 24-hour movies. Some rooms also feature private balconies. 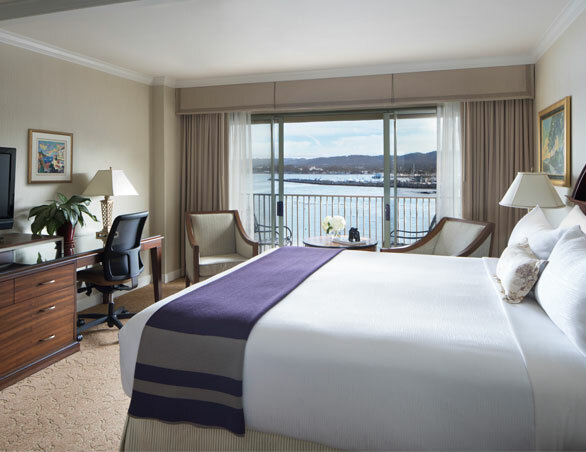 Witness glowing sunsets over the harbor from your own private balcony in the Harbor View Room. 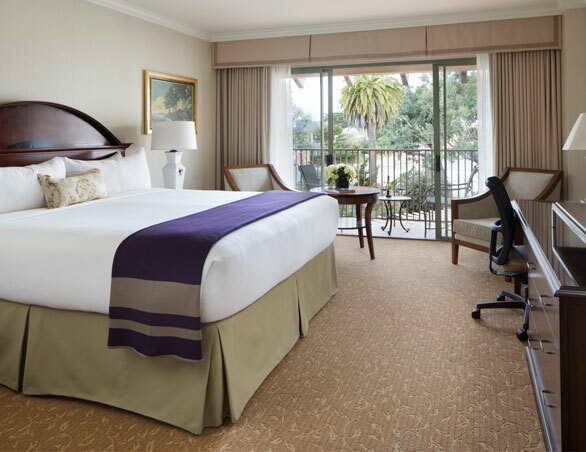 Offering a warm plush king bed and an inviting atmosphere, these 400 sq ft luxury hotel rooms provide guests with front row seats of the harbor and Monterey Bay. 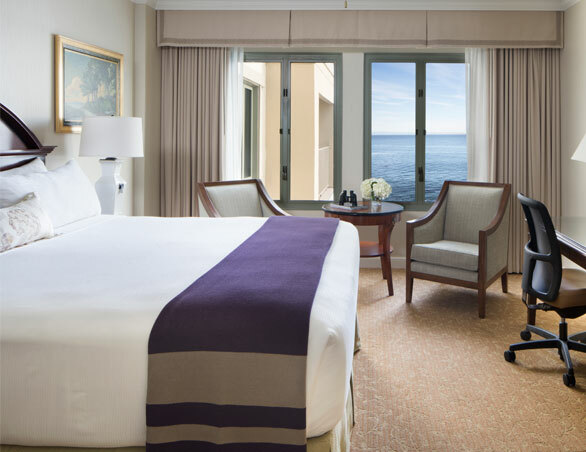 Inviting and luxurious, our 400 sq ft guest rooms feature partial views of beautiful the Pacific ocean. Offering classic elegance with dark wood accents and subtle coastal touches. 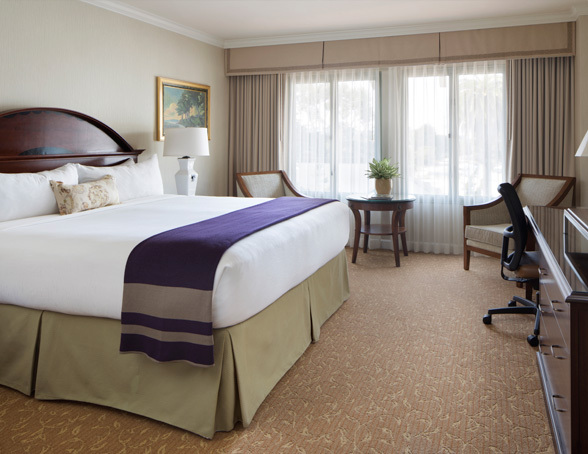 Unwind on a plush King bed, relax in a luxury marble bath and enjoy home away from home signature Monterey Bay comforts. Located directly over the azure-blue water, these 400 sq ft rooms are akin to a stay on a luxury cruise ship, with vivid vistas of Monterey Bay. Elegantly appointed with wood accents and custom artwork. 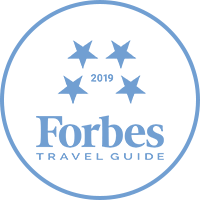 Highlights include plush microfiber beds and coverlets, and luxurious designer marble bathrooms with Zents Luxurious spa bathroom amenities.